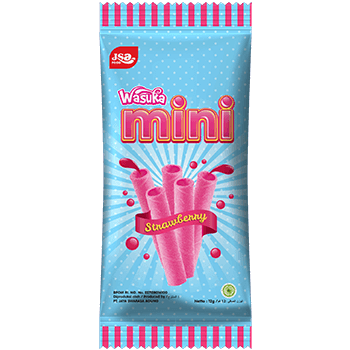 Treat yourself to Wasuka mini. 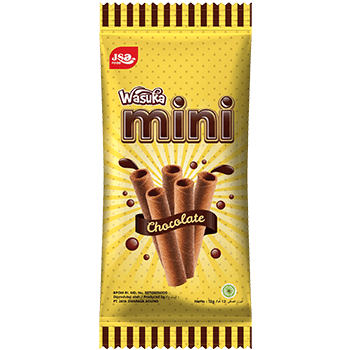 Delicious crispy wafer rolls and creamy chocolate filling in every single bite. 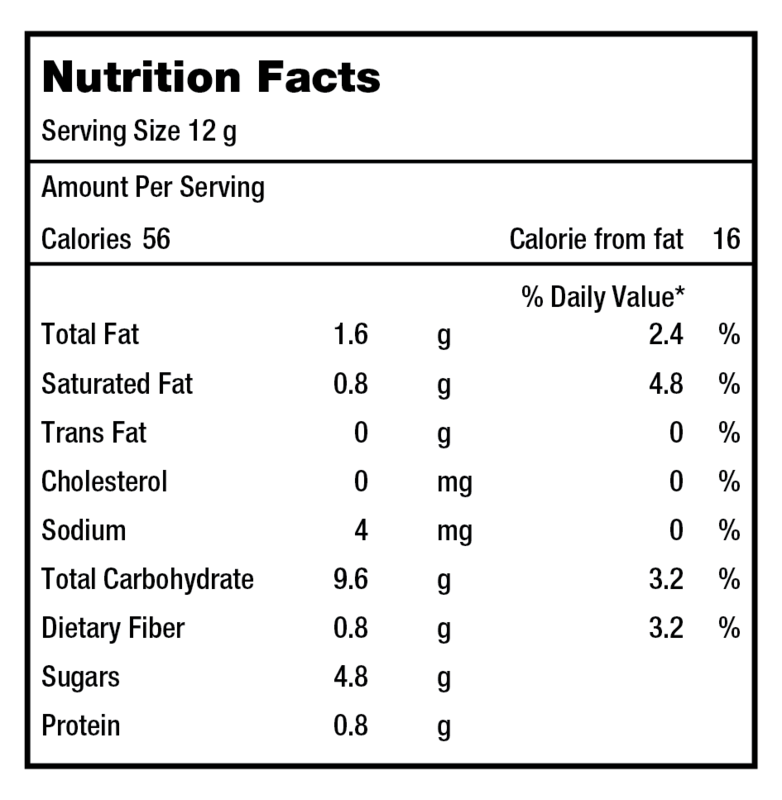 Wheat Flour, Sugar, Salt, Corn Starch, Vegetable Oil, Soya Lecithine, Milk Powder, Strawberry Flavour, Ace Sulfame, Rose Pink (CI 45430), Citric Acid.